Had no clue about this development. Seems promising but its odd they would put 2 Westins at that location. They have 11 brands. There’s the building downtown that is two hotels in one so it’s not that weird. Looking at the overhead drawing... that is a lot of parking. Disappointing. 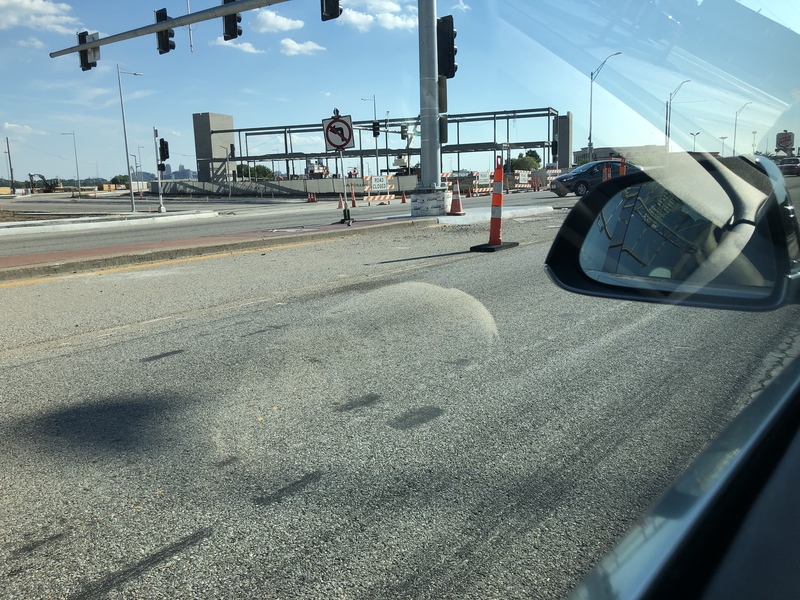 I really hope that they make the 16th ave intersection decent for cyclists- if they do then NKC becomes way more bikeable, if they don't then the cycletrack they built is kind of a waste. Also- Hey look, a grocery store! Fingers crossed for a Trader Joe's. That would be worth riding a bike over there for. I have a question. I follow development in lots of places across the country and one thing I have noticed about KC is they totally overuse the term "mixed use". Every single suburban development proposed in metro KC is somehow considered "mixed use" when in reality, VERY few of them actually are. This is not a mixed use project. It's not transit friendly or walkable either. It's the same freaking suburban sprawl that has been occurring in America since the 1950's. There is nothing "mixed use" about this or 90% of the other site plans I see in the KC area that call themselves mixed use. This project might have a few unique tenants. Great. Stop calling it mixed use though. Thanks for letting me vent! Yeah, no one is going to walk here. Bike maybe, but not walk. And the grocery store is on the other side of the development from the apartments! And just look at the parking to building ratio on lot 10! What are the rules for preemptively submitting developments for the streetsblog parking madness bracket, I wonder? People won't walk based on that map? That's the same distance as from Iron to Ozark and it's perfectly flat with no intersections. That's going to be one of the easiest walks in the region. I also wonder what the gravel road bed is for, it's not on that map. Construction access??? I mean, some will- It just won't be pleasant because of all the parking lots and the unhindered view of the freeway. And intersections are probably better than suburban shopping center turn ins like here. Suburban parking lot design often encourages people to go faster than is comfortable to pedestrians. It just seems like a design with buildings lining the spine road with the parking lots behind them would have been a good fit for this site- and if they built it dense enough to warrant building garages, they could build them on the freeway side to deaden the noise. I'd be more concerned about walking to get there than walking within the development - that area around I-35 is a cluster, even for a driver. 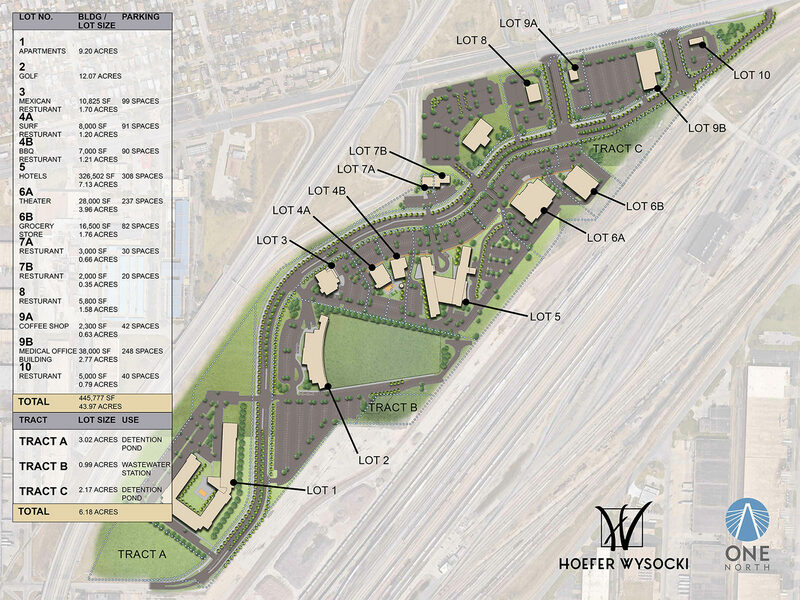 kcjak wrote: I'd be more concerned about walking to get there than walking within the development - that area around I-35 is a cluster, even for a driver. First layer of asphalt is going in now. Old Chicago Pizza & Taproom announced today for a December opening. A truck already ran over a flex post and drove in the cyclepath. (Apparently it was some lazy contactors). Medical building on the north edge by Armour (9B) has begun steel framing & stair shaft is up. To disguise that this is a suburban shopping mall? If the road was a straight shot you'd see only parking lots because there's no way we're putting them behind the building. But hey, cycle track. I'm still steamed about the loss of Sutherlands. This development looks stalled. Nothing but a road as of this week. The Meierotto Jewelers store is open. ^ I knew that opened. But the rest of the site looks like it's not really moving along since they built the road. Maybe it's on track. Just an observation.